Download your SHIPPING FORECAST GRIB and see all the wind forecasts for your next trip out to sea. What is a GRIB file? It is a file containing digital meteorological data that has been compressed according to standards defined by the World Meteorological Organization. With the volume of a GRIB file reduced to a maximum, it is suitable for downloading online, as well as on mobiles and satellite telephones. 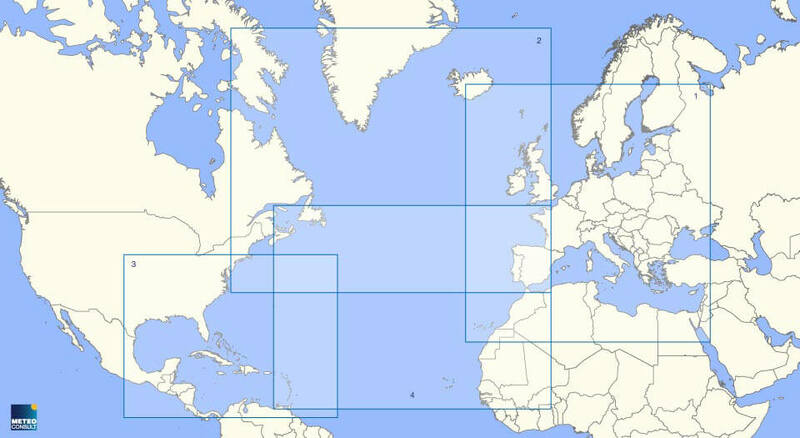 The NOAA, the National Oceanic and Atmospheric Administration, is the number one supplier of free data with wide-mesh resolution, i.e. a resolution that allows users to see the large epicentres on a global scale. In terms of fine mesh resolution, i.e., with a high resolution that enables the analysis of phenomena on a coastal level, METEO CONSULT provides customers with free GRIB files for selected zones. What are the limitations of GRIB files? Whereas, on an ocean scale, the pressure fields need to be considered alongside the wind fields to understand the situation, on a local level, it is useful to display the wind strength and direction. Today, viewers do not allow users to evaluate criteria such as the stability of air masses or gusts of wind, nor is it possible to show possible deviations from the forecast. This information, therefore, has to be considered as a the most probable average value, and should never be accepted as a substitute for a traditional weather report. How can GRIB files be used? Free apps, such as ZyGrib or UGRIB allow you to view the fine-mesh file that you have downloaded from the MARINE METEO CONSULT website and saved in a folder for these files. 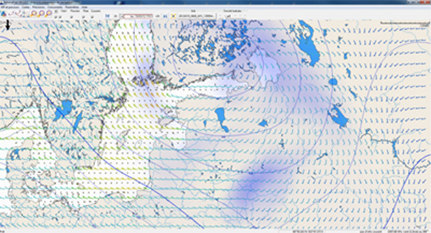 Sophisticated software, such as MAXSEA, ADRENA, SQUID and SCANNAV, allows you to view the wind fields, as well as calculate the best courses for regattas, for example. What are the benefits of the METEO CONSULT GRIB files? The high resolution that METEO CONSULT provides allows you to track - at hourly intervals - the evolution of the wind in relation to two local factors: the shape of the coastline and the effects of thermal breezes combined with synoptic wind. Analysing these conditions is a particularly good idea in weak winds, in order to find the right angles of the wind and take advantage of local acceleration.